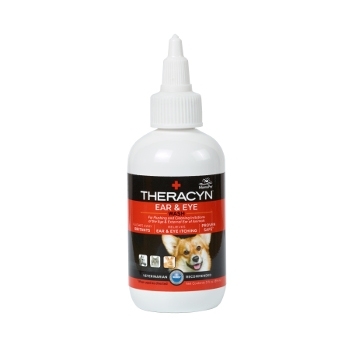 Theracyn™ Animal Ear & Eye Wash, 3 oz. Flushes and cleans irritaions of the eye and external ear in animals. It relieves ear and eye itching. This wash is ideal for horses, dogs, cats, and rabbits.